Every city is a composite of elements that contribute to its character; declarations made in landscapes, architecture, parks, roadways, and shopping areas, even lamp posts that light its streets. Often, its art makes a city unique. In Hayward, it catches the eye at almost every turn; driving down Jackson Street, going to the movies at Cinema Place, returning books at library drop boxes, looking out the window of a BART train, dropping a student off at Anthony Ochoa Middle School, passing a utility box, or having dinner at Buon Appetito. Murals have become a vibrant face of Hayward, enlivening locations throughout the city and bringing its cultural and artistic heritage to life. 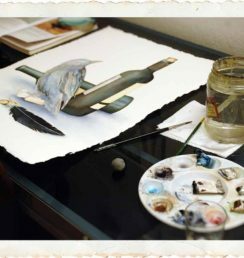 Foothill Arts of the Bay Gallery honors the city with “Mural Hayward” opening Thursday, January 17. The work of seven local muralists will be featured including Jean Bidwell, Suzanne Gayle, Ben Goulart, Andrew Kong Knight, Linda Longinotti, Christine Pacheco, and Josh Powell. Not only will attendees be treated to the amazing creations of these outstanding artists, but will experience the before, during, and after stages, with a glimpse of tools and equipment of the trade. Murals began appearing in the city thanks to the Hayward Public Art Mural Program, begun in April 2009; an effort to curb graffiti. They also provide a showcase for local artists, create business-to-business opportunities, and promote civic pride. Hayward Arts Council President Carol Markos pitched the idea for an exhibit, recognizing the local impact of this art form. “It seems to be changing the face of Hayward, making it an interesting place to visit,” she says. 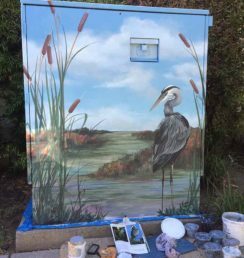 Suzanne Gayle is among the artists contributing to that change; several of her murals appear on sound walls, schools, utility boxes, and various sites around town. Gayle has been practicing her art since childhood, taking classes, reading lots of books, and experimenting along the way. She began creating murals after the birth of her daughter 12 years ago, starting with childlike images in baby rooms and gradually expanding to larger sites and complex themes. 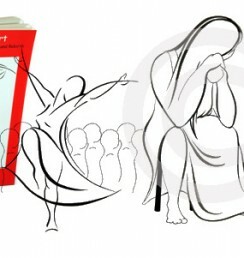 Plenty of preparatory work is involved, up to six months of research, drawing, and re-drawing. “I usually spend as much time putting together the design as I do painting,” says Gayle. Her Avalon Jewelers Streetscape Mural at 1051 B Street with its representation of local businesses and faces turned the once plain alley into a continuation of the Downtown area. Measuring 160 feet long and two stories high, the mural includes over 50 historical facts, with nods to the Zucchini Festival, Shasta Factory, Russell City Blues, Doggie Diner, Hunt’s Cannery, William Hayward, local firefighters, and fittingly, the Mural Program. Gayle says the execution is different for different murals, some requiring precise measuring, a paint or chalk sketch to follow, the projection of an image, or simply diving in freehand. All artists have varying tactics, and talking and working with other muralists contributes to the ongoing development of the artist and their work. “I would say that our tools and techniques and everything adapt. I think we get a lot from one another,” says Gayle, who has collaborated with Jean Bidwell on the Pinnacle City Center Sound Wall and Christine Pacheco at Winton Middle School. Gayle also welcomes volunteers to work on her murals, giving assignments based on ability. She goes over the work and touches up details if necessary, but not only do her assistants help her with completion time, she in turn provides a thrilling hands-on experience and sense of enduring accomplishment and pride. Visitors to “Mural Hayward” can pick up a guide to all of the must-see spots as well as purchase notecards of their favorites. The exhibit provides a wealth of stories, not only about the artistic process, but the vast history of Hayward and people whose lives have been touched by the murals. From kids to gang members and homeless people, the murals have become a source of pride, instilling respect and unity with each stroke of the brush. A reception will be held Saturday, January 26 where attendees can talk to the artists and enjoy refreshments, live music by muralist Andrew Kong Knight’s band, Knights on Fire, and make their own mural in a hands-on project. Neighborhood Partnership Manager Stacy Bristow will also be speaking about the city’s murals. If you like what you see around town, please support the Hayward Public Art Mural Program. 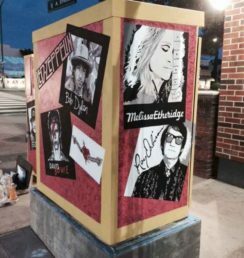 50 more utility boxes are coming in 2013, with five projects slated at schools and an additional five murals scheduled for other locations. Donations will be accepted at the exhibit and the City of Hayward offices at 777 B Street. Checks should be made out to the City of Hayward with Mural Program indicated on the notes line. For further information on how to get involved or make a donation, contact Stacey Bristow at (510) 583-4233. To learn more about the Mural Program and view pictures, maps, and video, visit http://user.govoutreach.com/hayward/faq.php?cid=11713. Thursday – Sunday: 10 a.m. – 4 p.m.